Anyway, back to the show. This year they are changing the competition up. 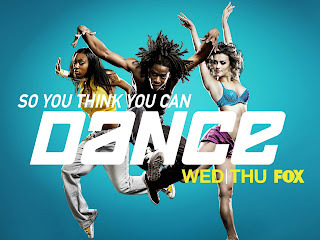 Usually there are twenty new contestants that compete to be America's favorite dancer but this year there are only ten newbies. There are bringing back ten "all star" dancers (former favorites on previous seasons) to be partnered up with the newbies. Last week was just a fun show debuting the contestants. This week starts the competition. They are all mainly contemporary dancers but they all have cute personalities and have amazing talent.